Widely regarded as one of the most romantic of fragrances, Ylang Ylang means "flower of flowers" in the Philippines. It is a Malaysian tropical flower that yields an exotic, aphrodisiac aroma cherished by many aromatherapists and perfume makers. This essential oil is 100% pure. Fun fact: Indonesians spread ylang ylang petals on the bed of newly wedded couples. Exotic. Mysterious. Spicy. Those three words describe ylang ylang to a "T." Ylang ylang's aroma can both uplift and relax. It's been around for centuries, and has been most frequently used as an aphrodisiac, yet it has many other stimulating qualities as well. Victorians used it to stimulate the scalp to encourage hair growth. The Chinese used it for circulatory health and to balance the heart. Early 20th century researchers discovered ylang ylang oil was effective against malaria, typhus, and various intestinal infections. Around the same time, researchers also recognized ylang ylang had a calming effect on the heart. 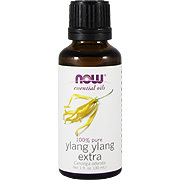 Today, ylang ylang is a treasured essential oil, and is actually more powerful when combined with other oils. 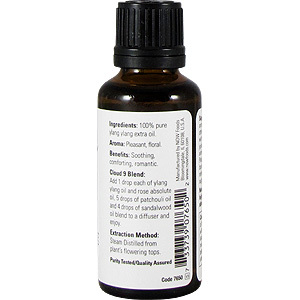 Mixes well with: Allspice, Atlas cedarwood, bergamot, cinnamon, frankincense, geranium, ginger, grapefruit, jasmine, lavender, lemon, lime, marjoram, myrrh, neroli, orange, palmarosa, patchouli, rose, rosewood, sandalwood, tangerine, tea tree, and wintergreen. Parts used: Fresh, fully-developed flowers. Extraction method: Water or steam distillation. Safety Information: Use in small qualities, used too frequently or in high doses could cause headaches or nausea in some people. Do not use on inflamed skin, or skin affected by dermatitis. 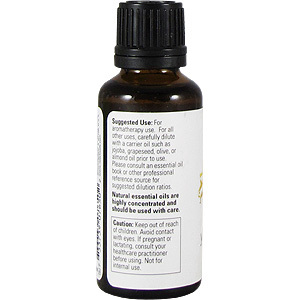 Ylang Ylang Oil is shipped in a discrete, unmarked package. Orders are processed immediately and usually take about 3 to 5 working days to be received.. Any information received is used only for order processing and shipping purposes. Your information, such as e-mail address, will never be disclosed to a third party.